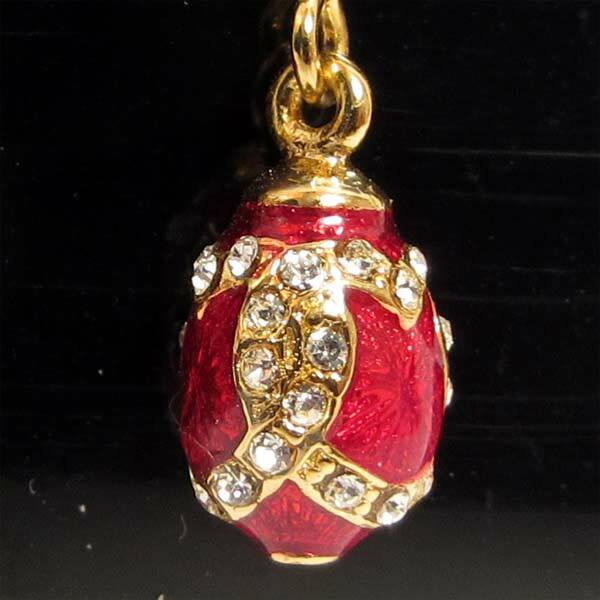 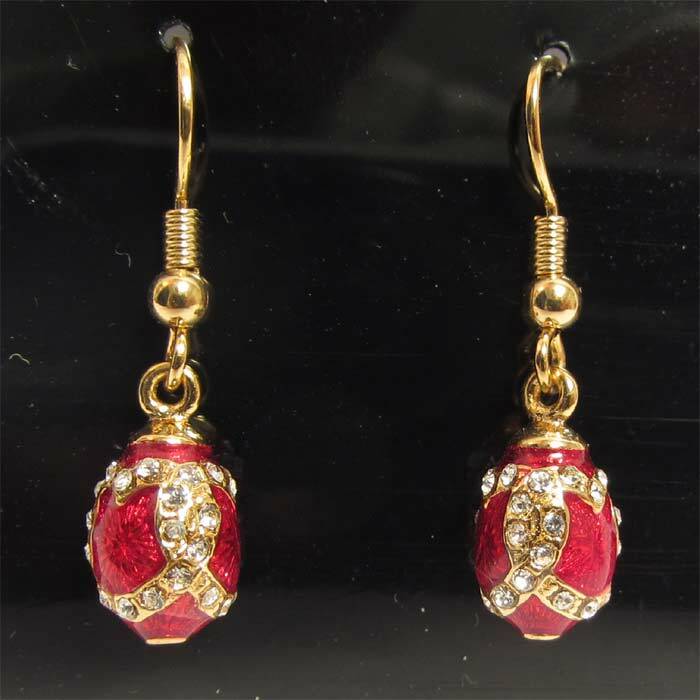 Faberge Earrings Red is a couple of earrings made in Faberge style. 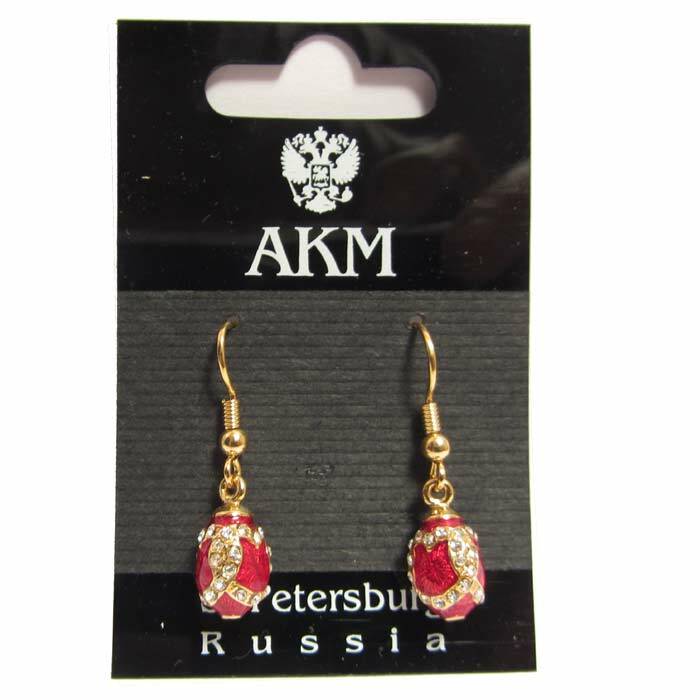 The earrings are made of brass and then plated with gold and enameled with several layers of multicolored enamel. 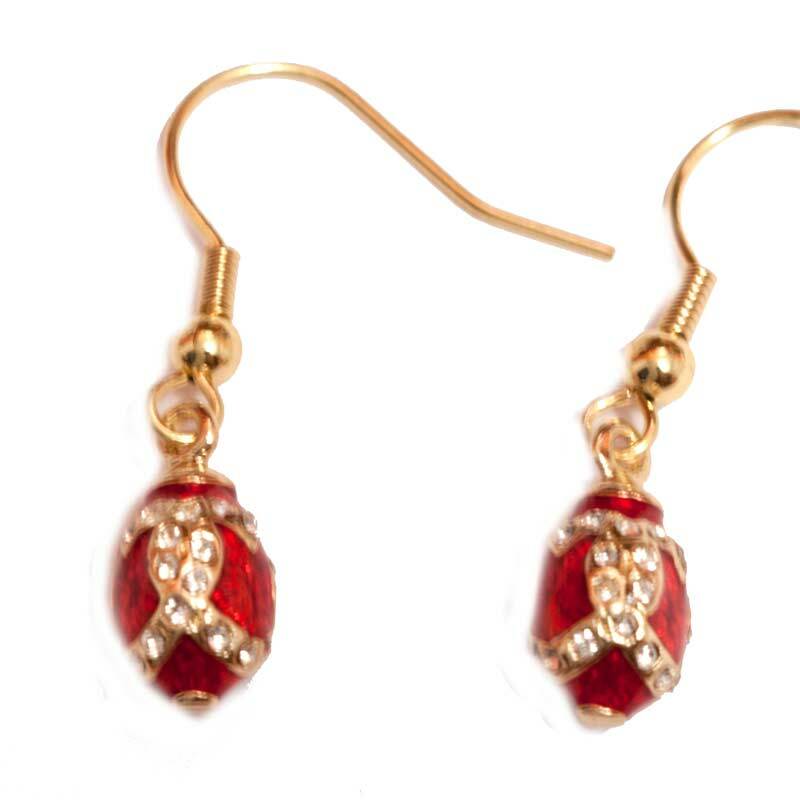 These earrings are also nicely decorated with Austrian crystals.